There are only 8 more days till Christmas. Hard to believe, right? With all the costs that come during the holiday season, there’s no reason to spend more than you need to, especially when it comes to wrapping your presents. 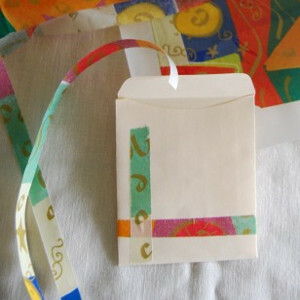 So instead of buying the generic gift bags and wrapping paper from the store this year, make them yourself! Not only will your presents stand out from the crowd, but it can save you a few bucks. From fun boxes to creative gift bags, there are millions of DIY gift wrapping ideas to take your present from plain to fabulous. It also gives you the opportunity to personalize your present even more. So here at AllFreeChristmasCrafts, we thought we’d help you get those creative juices flowing. 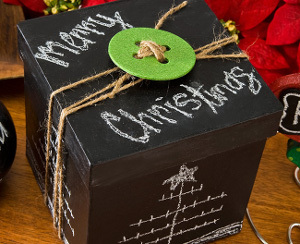 We’ve gathered a few crafts to help you wrap your gifts in style. From wrapping paper to bags and boxes, we’ve got you covered. Before you head out to the store to pick yet another roll of wrapping paper, check out these ideas! How are you going to wrap your presents this year? 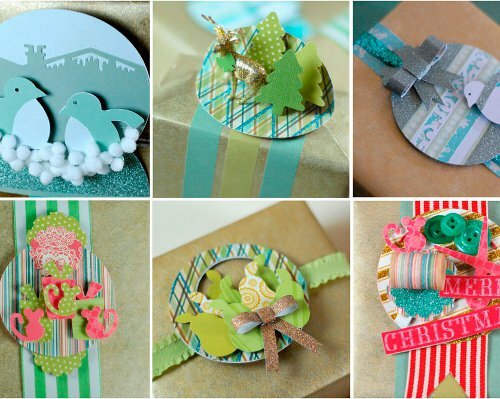 Dress up your packages with these adorable gift toppers! From newspaper bows to yarn pom-poms, these clever package accessories will take your gift wrapping skills to a whole new level! I love adding a little gift topper to my holiday presents. 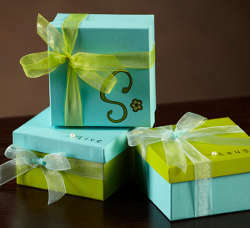 They give simple boxes and bags dimension and style, and oftentimes gift toppers can act as a little bonus gift! 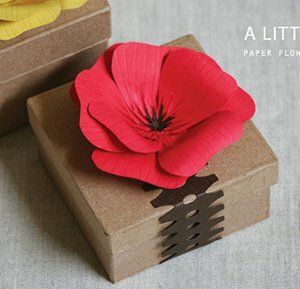 This Paper Flower Gift Flair, for example, can double as a cute hair accessory or pin. Simply attach a bobby pin to the back of the flower and use the bobby pin to attach the flower to the gift…that way the embellishment is easy to remove and ready to wear! 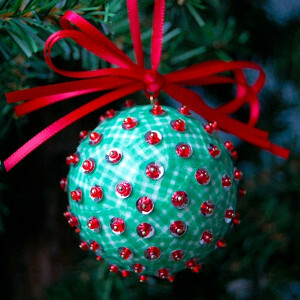 These 3D Christmas Gift Toppers can also double as beautiful ornaments. Made with items you most likely have around your home already, these holiday gift toppers are great for helping you clear out your craft stash while helping you add a festive and fun look to all your holiday packages. BONUS! 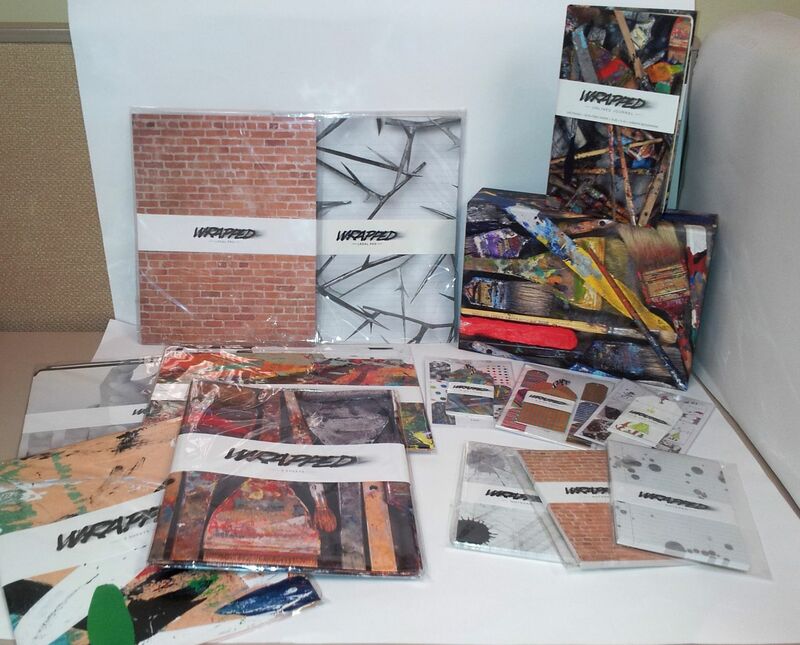 We’re giving away an awesome artistic gift wrap collection! Scroll down for more info! BONUS! 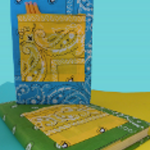 We’re giving away this awesome artistic gift wrap collection! With tons of awesome gift wrap, folders, paper pads, gift tags, journals and more, this collection will completely transform the way you craft with paper. You have until November 5, 2013 to enter, and you can enter to win once a day…so the more you return, the greater your chances of winning this awesome giveaway! Want even MORE free stuff? Check out our other weekly giveaways going on now! When I was little, my favorite way to give gifts was the hard way. I would wrap several nesting boxes in layers and layers of duct tape, then wrap it with several layers of newspaper, then more duct tape . . . you get the idea. Now that I’m a little older, I’m less concerned with making loved ones work for their presents and more concerned with making unique and creative gift packaging ideas. You probably have some gift ideas in mind already for the upcoming Christmas holiday, but how do you give them? Maybe you have small gift ideas but your house is filled with only large gift bags and boxes. Maybe you have gifts in awkward shapes and sizes that are trickier to wrap than you thought. Like me, you probably want to make the gift packaging as exciting as the gift itself. After all, nothing says Merry Christmas like dazzling gift wrap to foreshadow the exciting gifts inside. From Small Trinket Paper Gift Boxes to Recycled Gift Canisters and more, you are sure to find box crafts here that will be perfect for your gift. 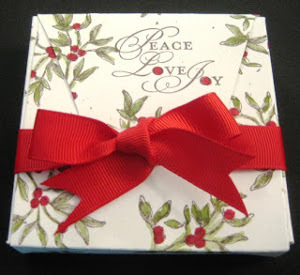 Many of these wonderful gift packaging ideas double as decorations, like the Christmas Keepsake Gift Boxes or the Painted Joy Gift Box. Bag crafts are perfect for wrapping a bunch of small items, especially if these items are awkward shapes and sizes. Try making mini gift bags like the Fabric Gift Wrap or put those crochet skills to the test with the Crochet Santa Pants Bag. 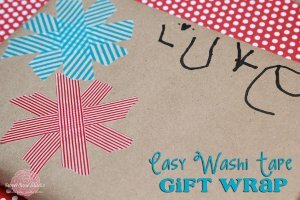 You can go thrifty when you reuse leftover scrapbook paper to make the Easy Scrapbook Paper Gift Bags. 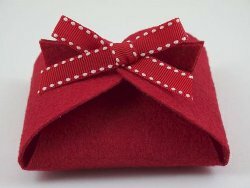 Gift packaging ideas abound when you check out all of the wonderful gift bag crafts AllFreeChristmasCrafts has to offer! I personally love glass jars. 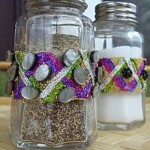 Jar crafts are so much fun, and they really make for unique gift packaging ideas! 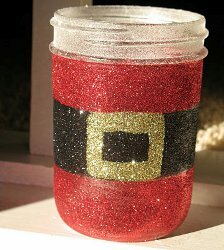 You can use glass etching with projects like the Personalized Christmas Jar and the Festive Etched Glass Jars. The great part about these crafts is that they can be used as decorations or for various storage after the Christmas holiday. 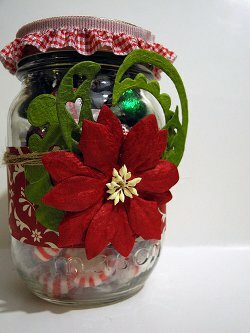 This Gorgeous Poinsettia Christmas Jar can be used as Christmas mantel decor for years to come. When if comes to gift packaging ideas, do you prefer bag crafts or box crafts? The sun is out, the sandals are on, and we’ve all got one thing on our minds…Christmas of course! Christmas in July is already here, but don’t worry. 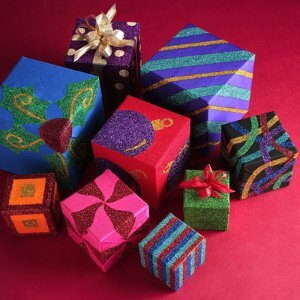 AllFreeHolidayCrafts.com has a list of 100 Easy Christmas Crafts for the Holidays to help kick-start Christmas in July! The magical holiday will be upon us before we know it so it’s time to check out these crazy holiday crafts. Whether you’re looking for handmade Christmas decorations or easy Christmas crafts for kids, we’ve got you covered. 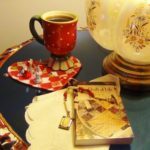 Each project in this list of Crafts to Help You Kick-Start Christmas in July is easy to make and takes so little time. By December your home will be stacked with Christmas crafts from floor to ceiling! Bask in the joy of Christmas in July with your friends. Invite them over for a crafting party and see who can make the most crafts from our list of 100 Easy Christmas Crafts for the Holidays. 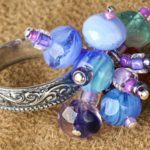 Between the handmade Christmas ornaments and the gift wrap ideas, you’ll have enough crafts to trade, give away, and keep for yourself. 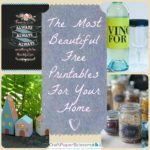 With projects for gift-wrapping, ornament hanging, and spending time with your kids, you’re sure to find something in this list for you. 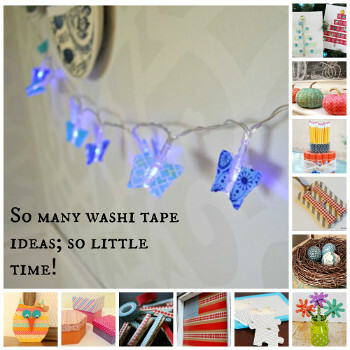 It’s bound to be a craft-crazy Christmas in July! After a long day at summer camp, your kids will be overjoyed to come home to a table covered in Christmas craft materials. 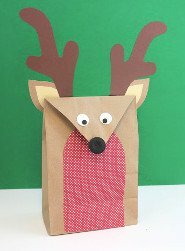 Get the kids involved in your Christmas in July crafting with these simple crafts for kids. They’ll love delving into their creative side to make Christmas crafts like Rudolph the Glove Reindeer and Fluffy Beard Santa. There’s nothing more magical than Christmas for a child, and they’ll love that they helped create that magic. These easy Christmas crafts for kids are minimal mess and maximum fun! No need to worry about cavities with these sweet lookin’ candy Christmas Decorations. Make these handmade Christmas decorations and let your eyes feast. You won’t believe how easy it is to recreate your favorite Christmas treats. There’s nothing sadder than when the dessert plates are empty at the end of the night but these sweet lookin’ candy Christmas decorations are here to stay! Become a gift wrapping genius with these gift wrapping genius crafts. Doesn’t it seem like every year you find yourself in a mad dash to purchase Christmas gifts for friends and family? 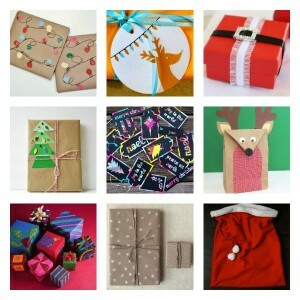 Reduce the stress by making some handmade Christmas wrap this July. 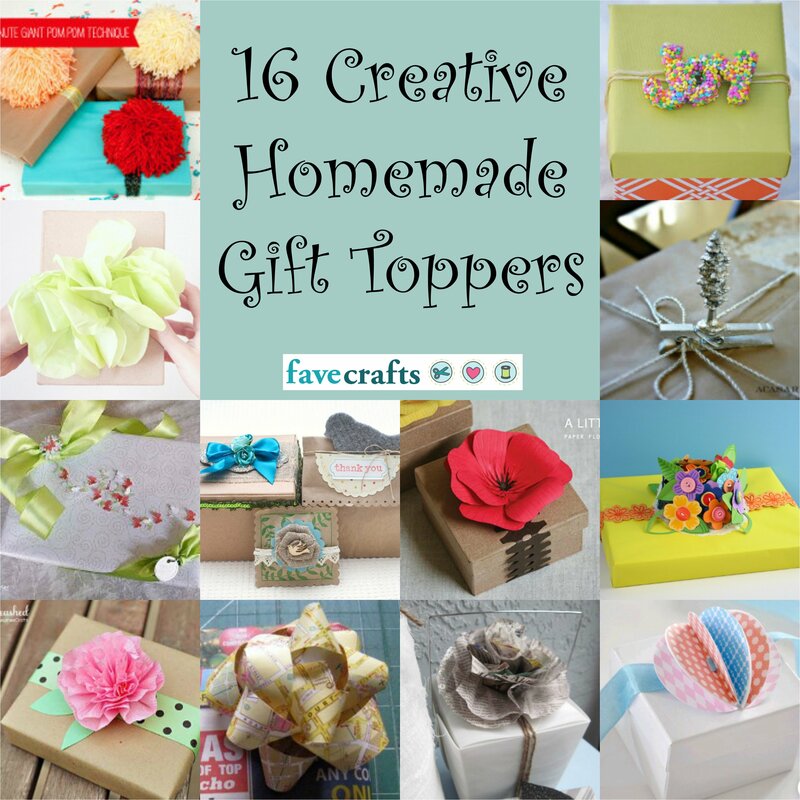 These gift wrapping genius crafts make every gift look special with bows, ribbons, and boxes. No matter what you give your loved ones, they’ll have a gift within a gift. Hungry for more Christmas crafts? 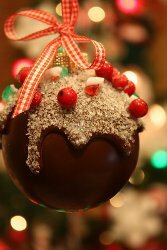 Check out our free “7 Easy DIY Christmas Crafts: Make Your Own Ornaments, Wreaths and More!” eBook! What type of Christmas crafts make you jump for July? Whether you need to wrap an entire Christmas gift or just add the perfect finishing touch, there are so many ways to bring a professional and very chic look to your finished projects. The first step to dressing up your gift is to choose how you’d like to wrap it. 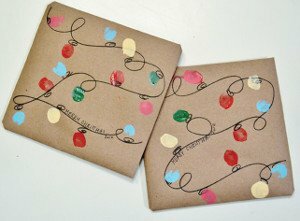 If you aren’t a fan of regular wrapping paper or you just want to try something new, try one of these unique ways to wrap a gift. 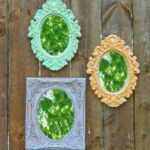 Many of these easy and quick crafts involve upcycling, so you can reuse other Christmas craft materials in a whole new way. Think of all the money you’ll save! If you’re looking for a more special way to say your gift is from you, try taking a more personal approach to your Christmas gift tags. 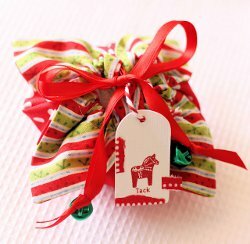 There are crafts for handmade gift tags, as well as gift tags you can print out in minutes. They all look like they were store-bought, but with much more original designs. Gift cards have become a much more popular gift, but the packaging they come in isn’t usually very noteworthy. Fortunately for crafters, our list includes some simple ways to wrap a gift card. Like the other projects in this collection, these gift wrapping ideas are all about recycling what you already have at home. 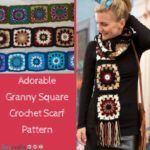 There are some neat tricks to learn in these tutorials, and you may even pick up a technique that you can use for your other Christmas crafts. One of the most quintessential parts of the gift wrapping experience is the bow. They can be cute, elegant, and totally out of the box (literally). It seems that a lot of bows sold in stores look the same, so we’ve made sure that our list includes tutorials on how to make bows that are suitable for any gift. You can go for something classic, or try a contemporary look; each of these Christmas bows can be made with so few materials that you’ll want to try them all! Wrapping your gifts on Christmas should be just as special as giving them. If these projects have your attention, then be sure to take a look at the whole collection Wrap It Up: 18 Ways to Wrap a Gift This Christmas. These tutorials will guide you every step of the way to ensure your Christmas gift tags, bows, and wrappings stand out under the Christmas tree this year. 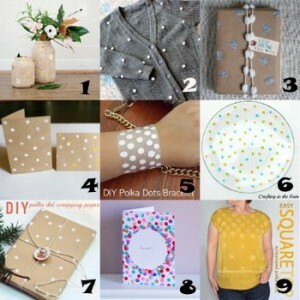 Do you make your own gift wrap or buy it? Good morning to another day of our National Craft Month celebration! 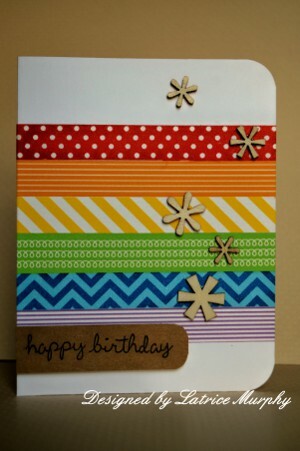 Today is day 25, and we’re pumped to share another giveaway and craft tutorial with you. Don’t forget that you can visit our blog every day to enter to win a different prize of the day. Find the contest rules and enter below. Today our friends from Plaid are happy to share an exclusive project with you in honor of National Craft Month. They’re sharing a spring craft tutorial on how to make a set of Fresh and Formal Stacking Boxes to keep you organized this season! 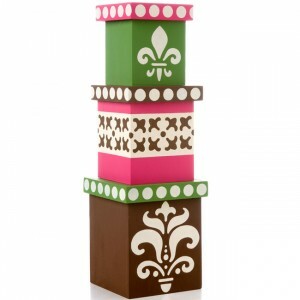 This Fresh and Formal Stacking Boxes from Plaid will keep your favorite nick-knacks, crafting materials, and much more stored in an organized container that also functions as a spring decoration. 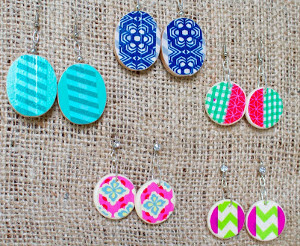 Freshen up for the season with this simple spring craft from Plaid . If you’re looking for a cute and clean way to store your craft supplies and other nick-knacks, take a look at the full project, and make these decorative organizational tools for your home. What type of craft supplies organizers do you make? You must “like” both the AllFreeHolidayCrafts and the Plaid Faceboook page to be eligible. You have until tonight, March 25th, 2013 at 11:59p EST to leave your comment on this post. Comments posted after that will not be counted. 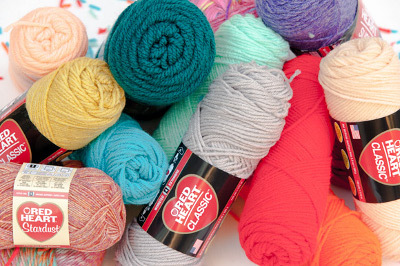 Don’t miss your chance to stock up your craft stash and win a $1000 Michael’s gift card. You can enter each day to win this amazing $1000 Shopping Spree at Michaels. 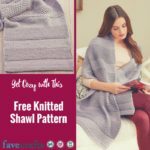 You have 6 more days to enjoy National Craft Month, so take some time out of your day to come to the FaveCrafts blog each day to hear about the latest prize. Happy day 16 of National Craft Month! Come visit our blog every day to enter to win a different prize of the day. Find the contest rules and enter below. We’re getting a little festive for National Craft Month today with a project from Design Master. 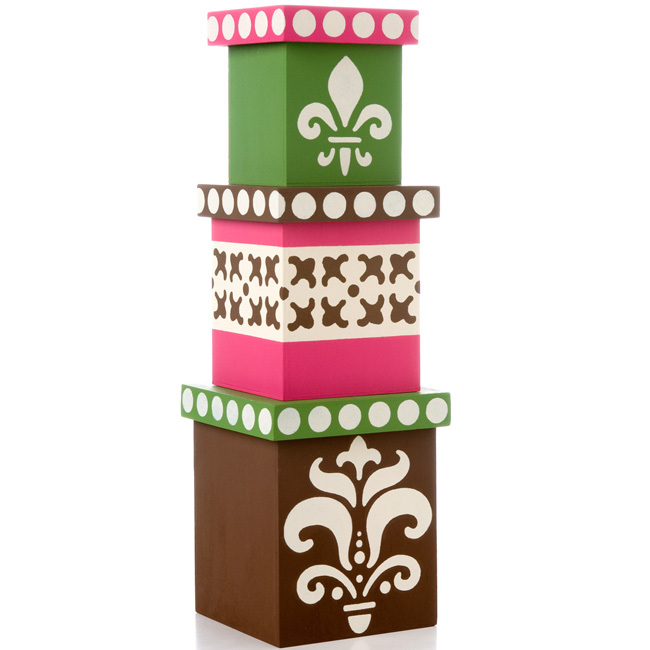 If there’s a birthday, big holiday, or any other gift-giving day coming up, do something extra special by making your own Pretty Painted Favor Boxes. No one ever wants to get caught up in a last minute rush when it comes to gift wrapping, so be sure to take a look at the free tutorial and start coming up with creative looks for your next wrapped gift. 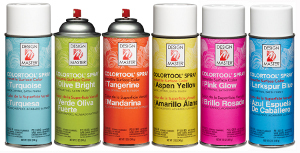 Design Master is the craft company with all the expertise when it comes to all things paint, so you’ve just got to see what they use when it comes to gift decorating. 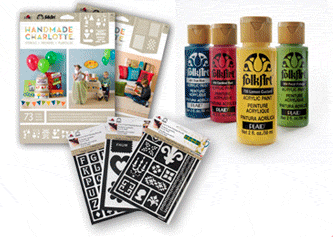 Do you like using paint in your craft projects? You must “like” both the AllFreeChristmasCrafts and the Design Master Facebook pages to be eligible. You have until tonight, March 16th, 2013 at 11:59p EST to leave your comment on this post. Comments posted after that will not be counted. 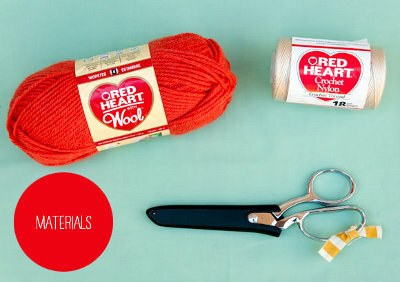 Don’t miss your chance to stock up your craft stash and win a $1000 Michael’s gift card. You can enter each day to win this amazing $1000 Shopping Spree at Michaels. We’ve got 16 more days of prizes for you, so visit us at the FaveCrafts blog each day to hear about the latest prize. 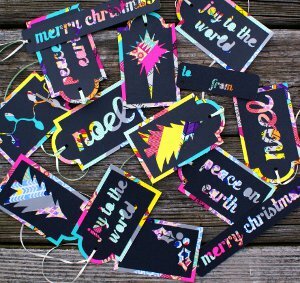 This Christmas craft tutorial is brought to you by craft designer Rachel Faucett aka Handmade Charlotte. 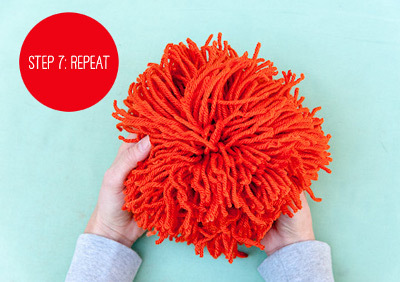 The pom pom is definitely the mascot for knitting and we invented a way to make a giant pom in one minute. I’m so thrilled about this easy technique that I had to share. Follow the step by step instructions and you’ll be shocked at how easy it is. Red Heart sent us piles and piles of yarn to play with and come up with creative projects for the Holidays. Stay tuned for a couple more fun Christmas projects later this month! 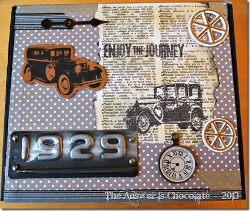 Jump over to Handmade Charlotte for the full tutorial. 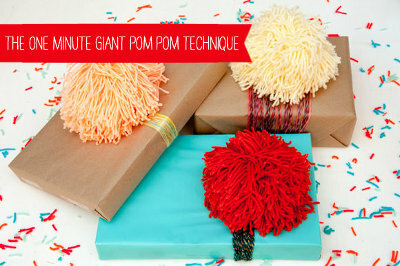 You only need three simple supplies to make the fun giant poms. 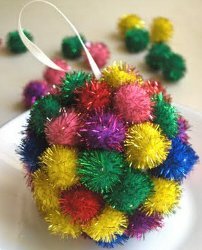 We used all different kinds of yarn and color to make each pom pom unique. Take a peek at the finished pom pom after 1 minute of tying and cutting. This is so fast and easy!